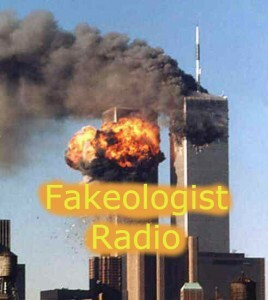 Here is the summary I prepared of Fakeologist Radio Episode 85 with Simon Shack and Onebornfree, consisting mostly of the last two hours. Some interesting things were mentioned in the first hour, so be sure to check out the archive. For my summary of the last episode with Simon Shack, see here. 1h13m – Asked are we supposed to believe that NIST just left those high quality videos in the drawer until 2010? 1h46m – Laughing at how they have the sound of an ambulance in one scene, and then it changes to a completely different scene and you still have the same ambulance sound! 2h14m – He asked, don’t the Jews own the media?